"Why are young Chinese so patriotic and anti-Western? 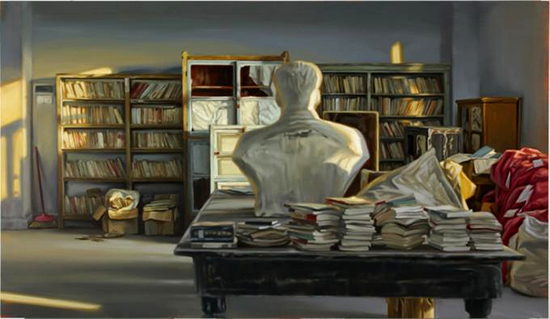 Because of historical memory, says Zheng Wang. His book reads like a revelation. It is at once an insider's account and a masterful scholarly analysis of how history is taught in China and how this shapes its foreign policy outlook." "...a valuable and, often lively, account of a crucial aspect of modern China." I was in Xuzhou, a city in China's coastal province of Jiangsu, on September 16, 2012. While walking in the largest public square of the city, I saw young people gathering from different directions. They soon formed a large crowd of a few hundred people and began to march along the main street of Xuzhou. In fact, visitors to China that weekend could see a similar scene in over one hundred Chinese cities. The anti-Japan demonstrations occurred following Japan's decision to buy the disputed islands in the East China Sea. Holding banners and flags that they had prepared earlier, the crowds in front of me began to shout slogans. Suddenly, I heard them shouted something very familiar to me: "Wuwang Guochi!" The English translation of the Chinese phrase "Wuwang Guochi" is "Never forget national humiliation." It is the title of the book that I have just published. In this book, I refer to it as the "national phrase" of China. The Chinese characters associated with this motto are engraved on monuments and painted on walls all over China. For the Chinese, historical consciousness has been powerfully influenced by the so-called "century of humiliation" from the First Opium War (1839-1842) through the end of the Sino-Japanese War in 1945. The Chinese remember this period as a time when their nation was attacked, bullied, and torn asunder by imperialists. As the research in this book has identified, China's unique national experiences, most significantly pride over its civilization as well as a collective memory resulting from the "century of humiliation" vis-à-vis Western powers, have played a crucial role in shaping the Chinese national identity. In general, this book examines how the discourse of national humiliation and the special "myth-trauma complex" became an integral part of the construction of national identity and nation building in different periods of Chinese history. The protesters were marching slowly in front of me, as the policemen were trying to clear traffic and separate the protesters from the watching crowds. I can see them clearly. Most of them looked like college students. They are far too young to have actually experienced the national traumas of the so-called "century of humiliation," but they appear deeply connected to this phrase as well as the emotions of the victims. To some extent, my book seeks to explain how and why these young people have become so connected to this rallying cry. Through family stories, history textbooks, gatherings, and the government launched patriotic education, I show in this book how Chinese youth have developed a relationship with this national phrase, and how this informs their understanding of who they are and their perception of the rest of the world. This book uncovers how the legitimacy-challenged Chinese Communist Party has used history education as an instrument for the glorification of the party, for the consolidation of national identity, and for the justification of the political system of the CCP's one party rule in the Post-Tiananmen and Post-Cold War era. The research focuses initially on how China's humiliating modern history has been used by the government to conduct ideological education through the national "Patriotic Education Campaign" after 1991. The ruling Party conducted a major curriculum reform in history education. In the new textbooks, for example, a patriotic narrative replaced the old class-struggle narrative and the official Maoist "victor narrative" was also superseded by a new "victimization narrative" that blames the "West" for China's suffering. The book then explores the impact of the institutionalized historical consciousness on China's foreign relations, especially in relation with the U.S. and Japan. This book uncovers how the legitimacy-challenged Chinese Communist Party has used history education as an instrument for the glorification of the party, for the consolidation of national identity, and for the justification of the political system of the CCP's one party rule in the Post-Tiananmen and Post-Cold War era... I worry that China's overreliance on history to provide national legitimization could challenge the ability of the Chinese government to satisfy its own people or to engage easily internationally. This book does not seek to explain the simple notion of why the Chinese are unhappy with the West; that is far too simple a usage of the rich knowledge that can come from an understanding of historical memory. In many countries in Asia, Africa and Latin America, particularly post-colonial states, historical grievances are indeed an important source of anti-western nationalism. However, the implications of historical memory are not that simple. In many societies, especially in China, historical memory has already become a constructed social norm in the national "deep culture" and will influence people's thoughts and actions. 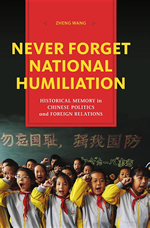 "Never Forget National Humiliation" focuses on exploring the power of historical memory on Chinese identity formation and political discourse. 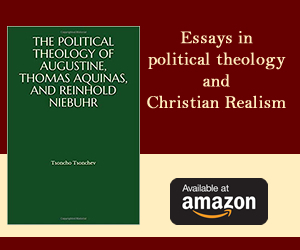 On the national level, identity determines national interests, which in turn determine policy and state action. Understanding a people's collective memory can help us better understand their national interests and political actions. That is why a thorough understanding of Chinese historical consciousness is essential to analyzing Chinese politics and foreign policy behavior. I argue in this book that historical memory is the most useful key to unlocking the inner mystery of the Chinese, as it is the prime raw material for constructing China's national identity. For a political scientist, it is always encouraged to see one's research identified and supported by real world events. However, watching the young people in Xuzhou shouting "Wuwang Guochi" only made me sad. As a scholar, I try to provide correct interpretations to social phenomena that I have studied. However, the real world echoes of my research findings have also made me worry about the future of the country as well as the young people who were protesting in front of me. I worry that China's overreliance on history to provide national legitimization could challenge the ability of the Chinese government to satisfy its own people or to engage easily internationally. Due to deep-seated historical grievances among its citizens, the government has little flexibility but needs to be tough and aggressive when dealing with countries like Japan. As the Chinese leadership seeks to be more responsive to domestic public pressure, it finds it more and more difficult to be cooperative and professional in diplomatic dealings if the Chinese people are revved up with anti-Western sentiment. Much of the recent discussion regarding China has revolved around the government's national strategy of a "peaceful rise." For many, China can rise peacefully only after it has changed from a communist dictatorship to a multiparty democracy, where officials are chosen in regular elections. However, without liberation from the powerful complex of historical myth and trauma, I worry that a multiparty democracy could lead China into a dangerous development. This is because history and memory issues can be easily used by nationalist leaders as tools for mobilization or for generation of conflicts between a newly democratic China and its old enemies. For many, China can rise peacefully only after it has changed from a communist dictatorship to a multiparty democracy, where officials are chosen in regular elections. However, without liberation from the powerful complex of historical myth and trauma, I worry that a multiparty democracy could lead China into a dangerous development. This is because history and memory issues can be easily used by nationalist leaders as tools for mobilization or for generation of conflicts between a newly democratic China and its old enemies. While the whole world is talking about China's "rise," the Chinese like to use another word-"rejuvenation" (fuxing). By choosing the words "rejuvenation," the Chinese emphasize their determination to restore themselves to their former position and glory. The Chinese are pursuing a national rejuvenation, and they have made tremendous improvements in the recent decades. However, concerning this process, the research of this book would suggest that China should not only modernize its financial system and highway network, but also its political system and citizen education. Chinese leaders and elites should recognize that their dream of restoring China's long lost glory should actually be geared more towards a realistic and less nationalistic goal of nation-building. I left Xuzhou the next day and flew to Shenzhen, China's pioneering city of economic reform. My flight was delayed for two hours. We were told the city was currently experiencing the largest-ever demonstration in its history, and the protests turned violent when many Japanese-made cars were attacked and burned. As the result, the policemen had to conduct major traffic control. Zheng Wang is a Public Policy Scholar at Woodrow Wilson International Center for Scholars. He is an associate professor in the John C. Whitehead School of Diplomacy and International Relations at Seton Hall University in New Jersey. He has been a Jennings Randolph Senior Fellow at the United States Institute of Peace (USIP) and is a member of the National Committee on United States-China Relations (NCUSCR).